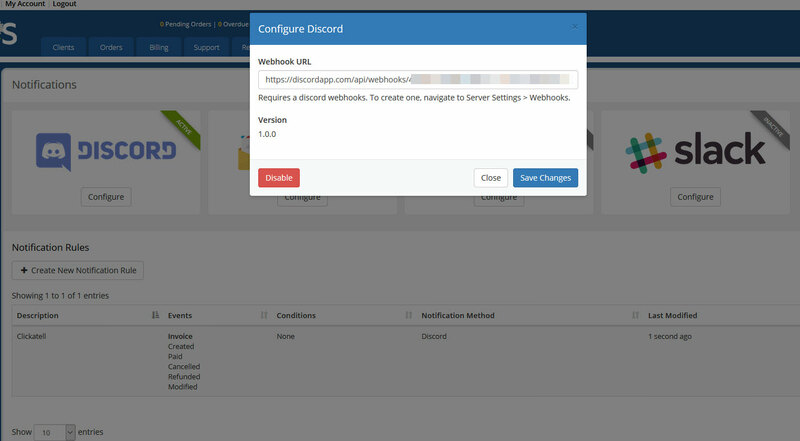 The unofficial Discord notifications module for WHMCS give you the ability to receive notifications with a setting rules that you can setup from the notifications section in WHMCS admin area. From the notifications section you can create a new notification rule form there you can select a rule name and choose an event also you may select multiple events within any given event category for example ticket,invoice,order,service,domain and API. 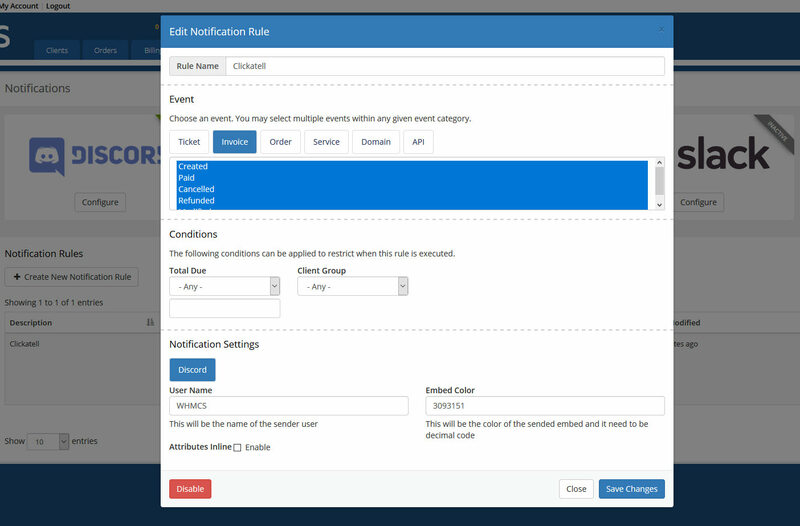 You can apply some conditions to the notification to restrict when the rule is executed. 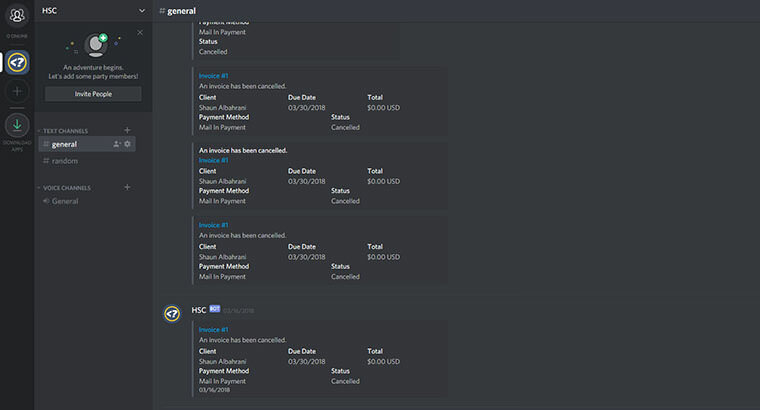 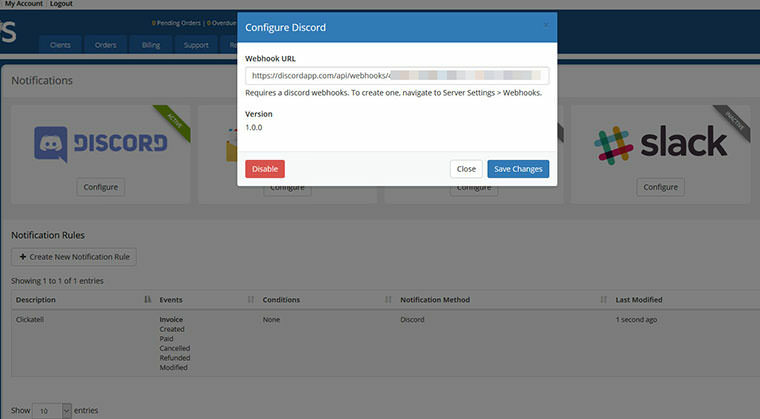 To start using the Discord notifications module you need to register at Discord website https://discordapp.com and create a Webhook by going to Server Settings > Webhooks then enter in the Discord notifications module also you can add a username for the sender and embed color with decimal code.